I'm calling it "Planes, Stripes and Automo-dots." You may groan like my husband. It's for a baby shower for one of his co-workers, and every bit is from my stash! Disappearing nine-patch, started with 7.5" blocks, should finish around 42" square. On the top, the Steelers leaders/enders are moving along. Three down, um, probably around 39 to go? 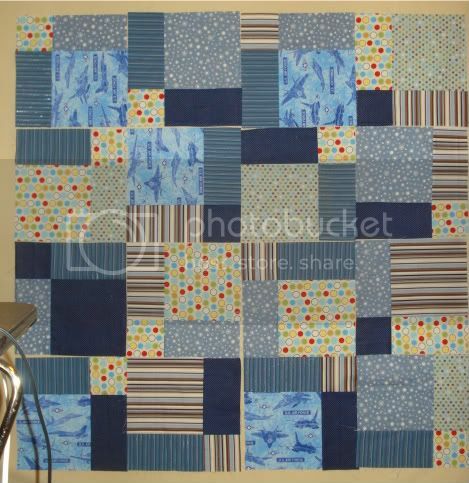 Check out more walls at Patchwork Times!